Patricia Elizabeth Tuckwell was born on 24 November 1926 at Melbourne, Victoria, AustraliaG.1 She was the daughter of Charles Tuckwell and Elizabeth Jane Norton.1 She married, firstly, Athol Shmith on 7 July 1948 at Melbourne, Victoria, AustraliaG.3 She and Athol Shmith were divorced in 1957.4 She married, secondly, George Henry Hubert Lascelles, 7th Earl of Harewood, son of Henry George Charles Lascelles, 6th Earl of Harewood and Victoria Alexandra Alice Mary Windsor, Princess Royal of the United Kingdom, on 31 July 1967 at New Canaan, Connecticut, U.S.A.G.1 She died on 4 May 2018 at age 91. From 7 July 1948, her married name became Shmith.3 She was a violinist.5 From 31 July 1967, her married name became Lascelles. 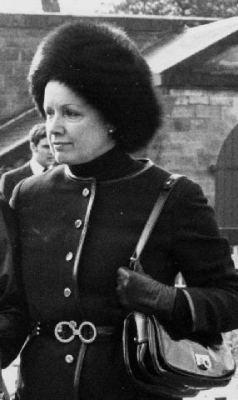 After her marriage, Patricia Elizabeth Tuckwell was styled as Countess of Harewood on 31 July 1967. [S205] Announcements, Yorkshire Post, Leeds, Yorkshire, U.K., 12 October 1967. Hereinafter cited as Yorkshire Post. Her name was legally changed to Elizabeth Evelyn Colvin.3 From 17 November 1978, her married name became Lascelles. [S466] Notices, The Telegraph, London, UK, 17 January 2006. Hereinafter cited as The Telegraph. 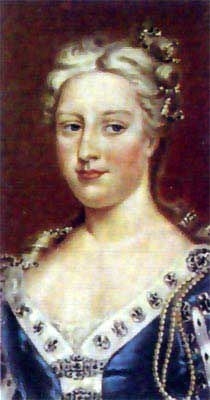 Marie-Christine Agnes Hedwig Ida Baronin von Reibnitz was born on 15 January 1945 at Karlovy Vary, CzechoslovakiaG.1 She is the daughter of Günther Hubertus Baron von Reibnitz and Maria Anna Carolina Franziska Walpurga Bernadette Gräfin Szapáry von Muraszombath, Széchysziget und Szapár.1 She married, firstly, Thomas Troubridge, son of Vice-Admiral Sir Thomas Hope Troubridge and Lily Emily Kleinwort, on 15 September 1971 at London, EnglandG.4 She and Thomas Troubridge were divorced in 1977.5 She married, secondly, Michael George Charles Franklin Windsor, Prince of Kent, son of George Edward Alexander Edmund Windsor, 1st Duke of Kent and Marina zu Schleswig-Holstein-Sonderburg-Glücksburg, Princess of Greece and Denmark, on 30 June 1978 at Vienna, AustriaG, in a civil marriage, Because of the mixed Protestant-Catholic marriage, Prince Michael is excluded from succession to the British crown.1 Marie-Christine Agnes Hedwig Ida and Michael George Charles Franklin were also married in a religious ceremony on 29 July 1983 at Archbishop House, London, EnglandG. From 15 September 1971, her married name became Troubridge. 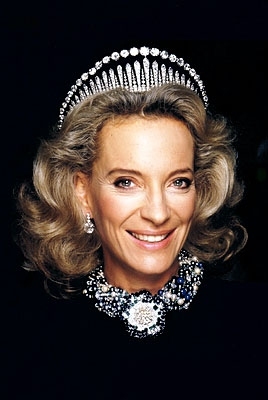 Her marriage to Thomas Troubridge was annulled in May 1978 by the Roman Catholic Church.6 After her marriage, Marie-Christine Agnes Hedwig Ida Baronin von Reibnitz was styled as Princess Michael of Kent on 30 June 1978. She was awarded the Dame, Constantinian Order of St. George. She was awarded the Dame Grand Cross, Sovereign Military Order of Malta. [S3] Marlene A. Eilers, Queen Victoria's Descendants, page 179. [S206] Announcements, The Daily Mail, London, U.K., 13 September 2009. Hereinafter cited as The Daily Mail. [S6] G.E. Cokayne; with Vicary Gibbs, H.A. Doubleday, Geoffrey H. White, Duncan Warrand and Lord Howard de Walden, editors, The Complete Peerage of England, Scotland, Ireland, Great Britain and the United Kingdom, Extant, Extinct or Dormant, new ed., 13 volumes in 14 (1910-1959; reprint in 6 volumes, Gloucester, U.K.: Alan Sutton Publishing, 2000), volume II, page 497. Hereinafter cited as The Complete Peerage. [S11] Alison Weir, Britain's Royal Families, page 284. [S11] Alison Weir, Britain's Royal Families, page 285. 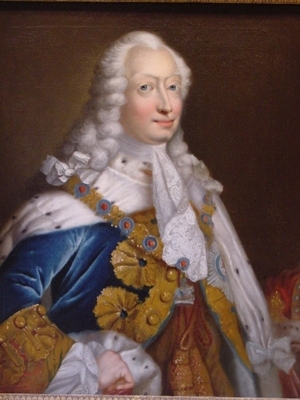 [S6] Cokayne, and others, The Complete Peerage, volume I, page 42. [S6] Cokayne, and others, The Complete Peerage, volume II, page 336. 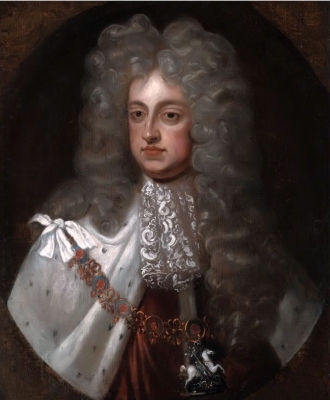 [S18] Matthew H.C.G., editor, Dictionary of National Biography on CD-ROM (Oxford, U.K.: Oxford University Press, 1995), reference "George II, 1683-1760". Hereinafter cited as Dictionary of National Biography. [S11] Alison Weir, Britain's Royal Families, page 283.